Mitchell Hamline School of Law: professor of law, 2015-; co-director of clinical program, 2015-. 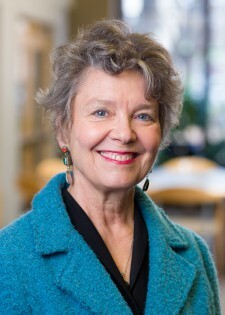 William Mitchell College of Law: professor of law, 1994-2015; associate professor of law, 1992-1994; co-director of clinical program, 1989-2015; assistant professor of law, 1989-1992; clinic instructor, 1984-1989. Attorney, private practice, Berkeley, Calif., 1978-1984. Associate City Attorney, Berkeley, Calif., 1980-1982. VISTA attorney, Legal Aid Society of San Mateo County, Daly City, Calif., 1976-1977. Admitted: California, 1976; Minnesota, 1984. Professor Juergens is recognized for her work advocating clinics and skills teaching in legal education and is an authority on housing law and feminist approaches to legal issues.